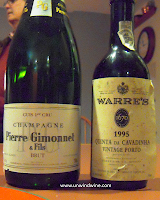 To celebrate friends Bill and Beth C's birthdays we drank two contrasting style 1996 vintage reds. I pulled a Robert Craig Napa Valley Mt Veeder Cabernet Sauvignon while Bill brought a Lafon-Rochet St Estephe Bordeaux. To use the 'shape' metaphor in explaining the contrasting styles, the Craig with its single varietal Cabernet mountain fruit was 'narrower' but 'deeper' while the more complex blend of the St Estephe was 'wider' but more 'shallow'. Understandably, the Craig exhibited big round forward fruit flavors. The Bordeaux, while the fruit was more subdued, was more complex with multiple dimensions and combinations of flavors of graphite, earth, leather and spice accenting the black fruits. We celebrated dinner at Angeli's Italian Restaurant in Naperville, our favorite local trattoria. Breaking normal conventions of feasting on their pasta entrees, Bill and I both selected Angelis' Filet Porto to accompany our wines - a grilled filet of beef in a port wine sauce with spinach, mushrooms, and sun-dried tomatoes. Beth chose the Tri-color Tortellini in Pesto cream sauce while L chose the asparagus ravioli. A surprise highlight of the wine focused dinner was the perfect pairing of the St Estephe with the starter of Angelis' baked stuffed mushrooms stuffed with Italian sausage topped with mozzarella cheese. Another highlight was the perfect complement of the pairing of the Robert Craig Cabernet with the Port Wine sauce and the sweet tones of the sun-dried tomatoes. Prior to dinner at home, we opened a gala Pierre Gimonnet Brut Cuis 1er Cru NV Champagne with cheeses, fresh fruits and mixed nuts. 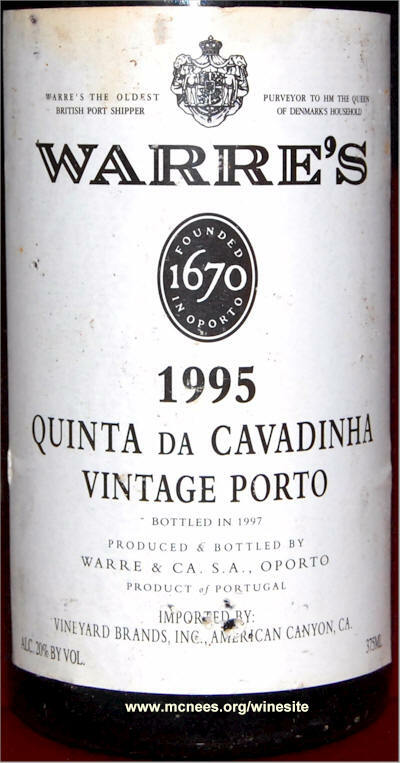 Back at home afterwards, we opened a near 1996 vintage Warre's Quinta da Cavadhina Vintage Porto 1995 with Linda's sinfully delicious flowerless chocolate cake with fresh berries. We've long been fans of Robert Craig and his family of appellation specific Napa Valley Cabernet Sauvignons featuring mountain fruits from three different Napa Mountains, Mt Veeder, Howell Mountain, and Spring Mountain District, and sometimes supplemented by another offering from Mt George. 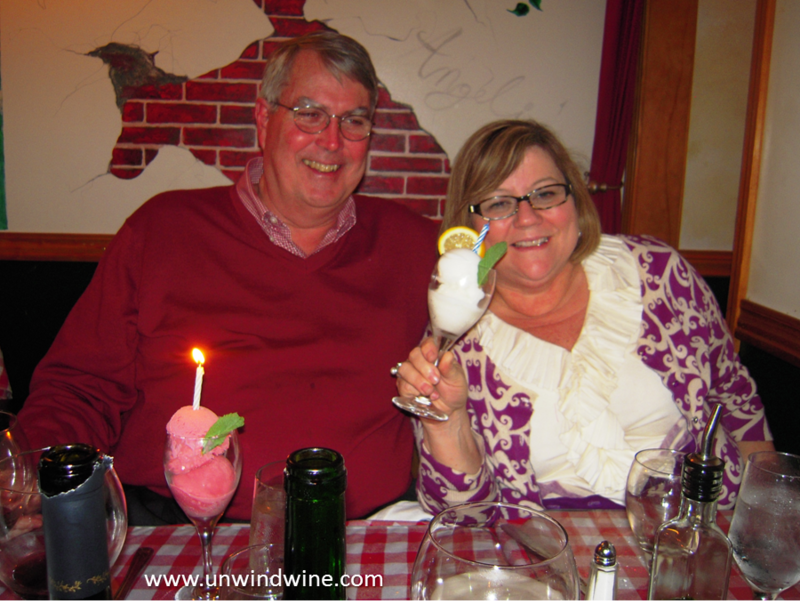 We first met Robert back in the early 1990's when he was producing his handcrafted wines up on Atlas Peak. Robert started his winemaking career up on Mt Veeder and as such, this was his first Mountain designated release offering under the Robert Craig label, and fittingly, it is his favorite. Shortly thereafter he released a Howell Mountain label which is typically my favorite, up until the limited release of his Spring Mountain District Cabernet in 2007 which I like even more! All the while, he also offers his Affinity Napa Valley Cabernet Sauvignon which is a blend sourced from the numerous locations as well as the valley floor, a wine produced for more affordable early drinking. We've met with the Robert and Lynn Craig and various members of their team numerous times during our Napa Wine Experiences (1998), during their visits here to Chicago, and have visited their Howell Mountain winery harvest parties and special events, and of course their tasting room in town in Napa. 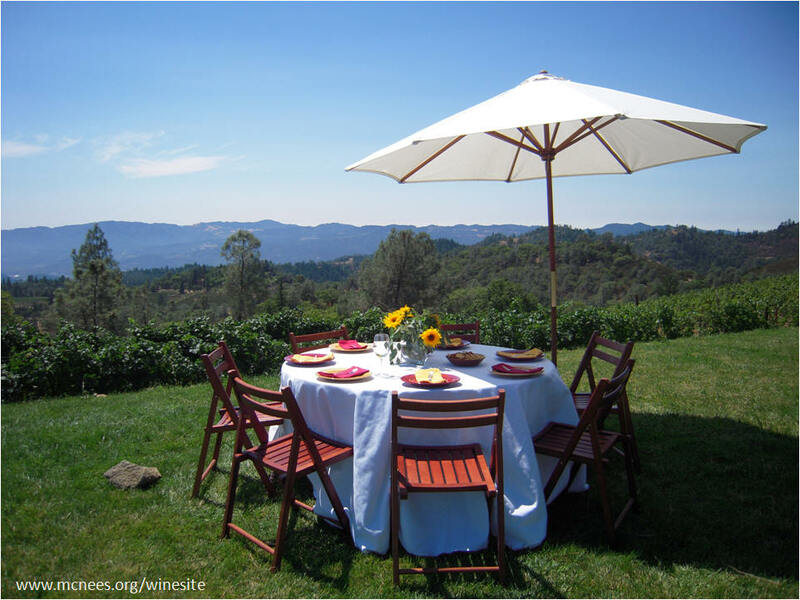 Perhaps our most memorable Robert Craig experience was a special luncheon we held up at the winery during our Napa Howell Mountain Wine Experience 2008 - Robert Craig on the lawn overlooking the vineyards, the valley below, and the opposing Mayacamas range across the Valley. A photo of that picturesque setting (shown above) was Linda's screensaver for years and the subject of one of her oil paintings. 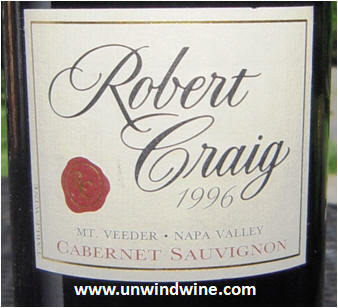 Looking at the index of our cellar inventory and tasting notes for the Robert Craig wines including Mt Veeder Cab, one can see we still have or have already drinkage every vintage of this wine dating back to the inaugural release in 1993. 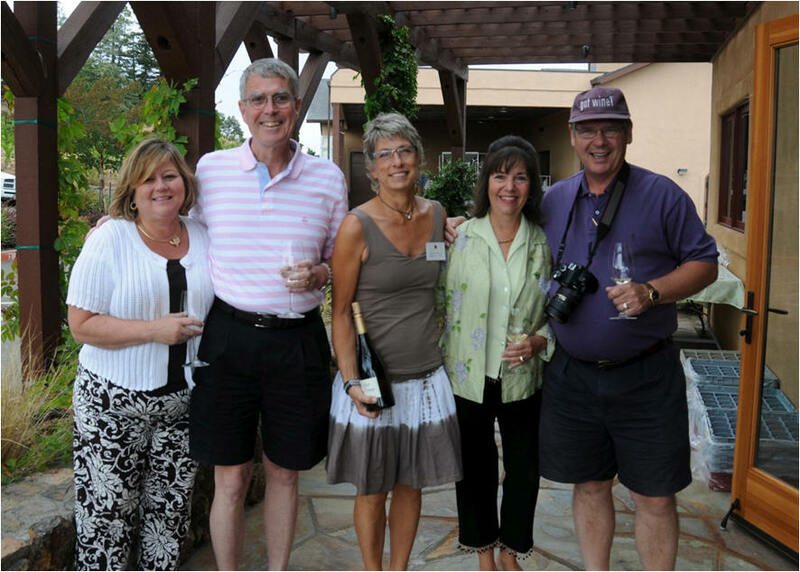 We attended the Robert Craig Howell Mountain Harvest Party '09 (the four of us with Rachel pictured left) event, and have visited the Napa town tasting room with Bill and Beth, so it was only fitting we selected this wine for their celebration dinner. This surprising vibrancy of the fruit of this seventeen year old attests to the longevity of these wines although its a bit more subdued than earlier years as it is approaching the end of its drinking window. Still medium to full bodied, moderately firm with dark purple color it showed juicy round full and forward black fruits of blackberry and black currant with a subtle layer of leather setting in, with cedar and hints of vanilla bean and creme de cassis, a touch of pencil lead on the finish with moderate lingering tannins. 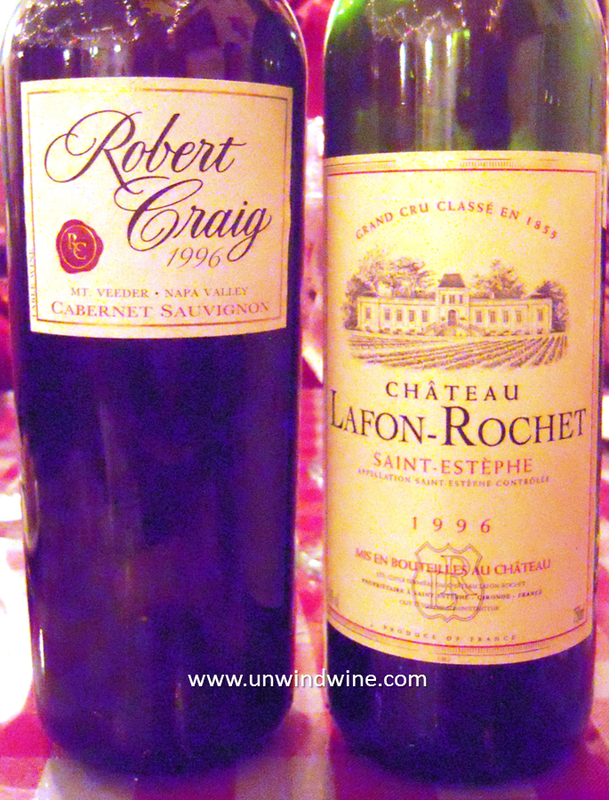 Bill's tasting notes of the Lafon-Rochet from Cellartracker. Medium garnet color. Damp earth, musty with a very slight hint of floral on the nose. This opened a bit tight but over 2 hours began to reveal much more fruit than I expected from a 17 year old St. Estephe. Medium bodied, some light fruit, cherry, cassis and plum on the palate. Also revealed some minerality, vanilla and a bit of oak. Nicely balanced with modest tannins and layered flavors. Really pleasant surprise. WCC (and RM) 90 points. Dark coffee color - full bodied, a bit of an edge of sweet black fruits, layer of smokey creosote with hint of cedar and cassis and black cherry on the finish.